Seasoned civil, criminal, administrative, and appellate litigator with over 35 years of experience. Substantial practice for national clients in the alcoholic beverages industry. Author or co-drafter of numerous Maryland legislative bills enacted into Maryland law by the General Assembly of Maryland. 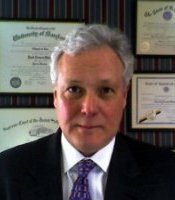 Lecturer to private practice attorneys, prosecuting attorneys, and industry groups in various areas of the law including use of experts in trial, wiretapping and electronic surveillance law, search and seizure law, gambling and controlled dangerous substances investigations, and preventing violations and defending alcoholic beverages licensees.